Melbourne has a problem. An armed man in a clown mask has reportedly been threatening various suburban residents. In every case noted by Sky News, “the masked man is in the passenger seat of a car while his driver gets them in close to a pedestrian.” In one case the clown exited the vehicle and menaced a woman walking down the street, only to leave when another car came along. The clown and his driver are driving either a Toyota Camry or some Mitsubishi model I’ve never heard of. Left unsaid in the Sky News report: whether he floats. 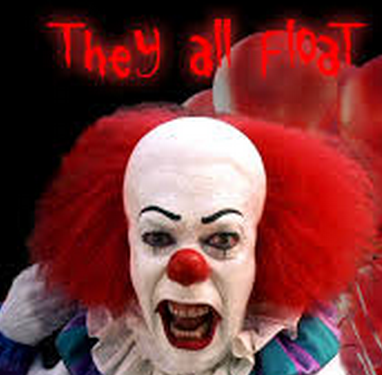 Whether they all float, down there.